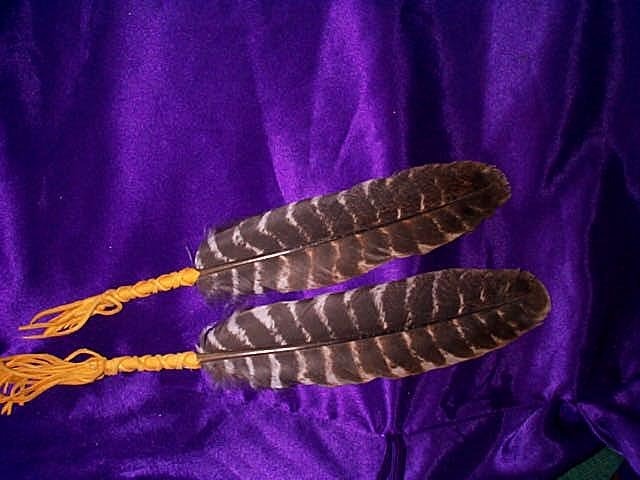 These turkey feathers are wrapped with deer skin and then hand sewn. I then cut three rawhide strings (or use leather lacing) and braid them down the stems over the wrapping. After securely tying off at bottom of quill I cut fringe.